My love affair with Pinterest continues. This week I had summer and outdoor entertaining on my mind. I have so many ideas. Now, I've got to keep up the momentum and block out some time once spring arrives to implement my ideas. 1. 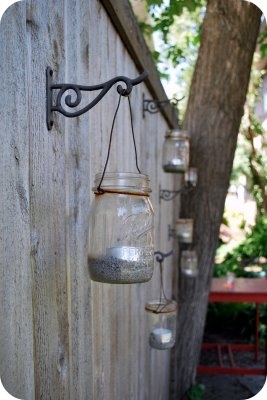 I love the simple look of these hanging Mason jars. We have a high fence just like the one in the picture, and these lanterns would make a perfect addition to it. Hanging them at varying heights creates a dramatic look. 2. Corners present a decorating challenge. Most corners usually go unused, and that's some serious waste of space. 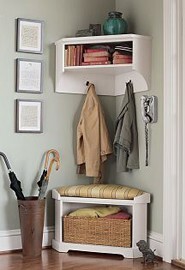 When I saw this corner entryway, I thought it would be perfect for the landing at the bottom of our stairs which also happens to be just inside our front door. I'd probably nix the bench and place the umbrella canister directly beneath the shelf. 3. 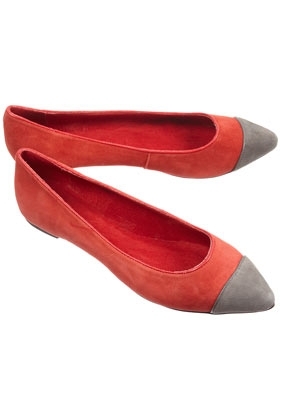 These cap-toe flats are perfect to pair with the bright, colored skinny jeans that are all the rage for spring. They are fun, fashionable, and functional. 4. Speaking of those colored skinny jeans, this pair is fabulous! I love the whole outfit. It looks so casual and effortless yet so pulled together. 5. 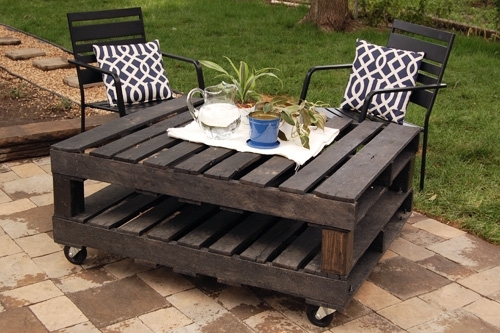 Back to the theme of the great outdoors...how much do you love this pallet table? OMG! I am loving it!! I need to find someone who can make this for me. I know I can't do it, and the Hubs isn't the least bit handy. Any volunteers?